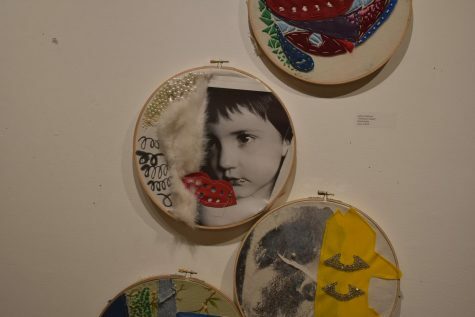 The artwork of junior Preston Choi and North Atlanta student Daniel Byrd is featured in Emergence, an exhibit at The Arts Exchange in Grant Park. The exhibit opened on Jan. 28 and runs through Feb. 15. 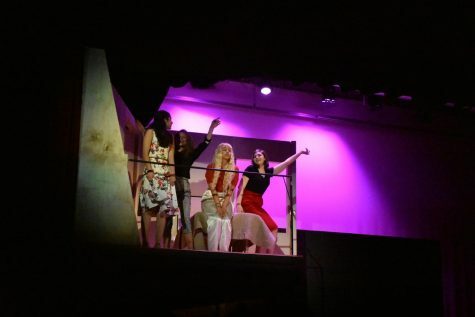 Photo by Ciena Leshley. At the end of Kalb Street just off of I-20, there sits a large building with peeling paint. Originally an elementary school (Grant Park Elementary) that was forced out of the district in 1973 when the school refused to integrate, the building was left unused for a decade until Alice Lovelace spearheaded an effort in the Atlanta arts community to repurpose the building as an exhibit space for emerging local artists. The Arts Exhange, as it is now called, has art studios on the top floor and a theater in the basement. The first floor is being used for exhibits and a martial-arts class. In the back of the building, there is an old yard and a rundown playground. The blast-to-the-past sense of the building provides the perfect atmosphere to breed creativity and even more perfect setting for viewing artwork. The surreal vibe of The Art Exchange creates the environment for art exhibits. 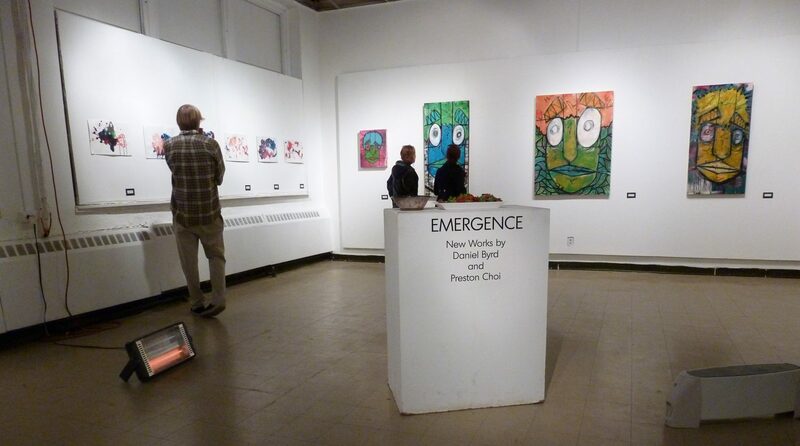 The most recent exhibit, appropriately titled Emergence, held its opening reception on Jan. 28. This exhibit, which runs through Feb. 15, showcases two APS student artists, one of whom is a Grady student. Junior Preston Choi began drawing when he was a young boy. Choi’s exhibit is shared with North Atlanta student Daniel Byrd. Choi works with pen and paper to create small, intricate designs, which he then overlaps with bright paint. As people walked through his pieces, many spectators leaned in towards the unprotected paper in order to see the miniscule detail involved in his art. A popular piece was one that depicted a patterned ladder leading up to a scene showing a tree lit by hanging lanterns. Vibrant splashes of dark pink, purple, and black provide the background for the scene. Choi’s work was contrasted with that of graffiti artist Byrd. In the past, Byrd left his work on the walls of the city. “I’ve showed my work in some other places before, but I’ve never been in a proper exhibit,” Byrd said. “But yeah, I’m pretty excited,” he said. 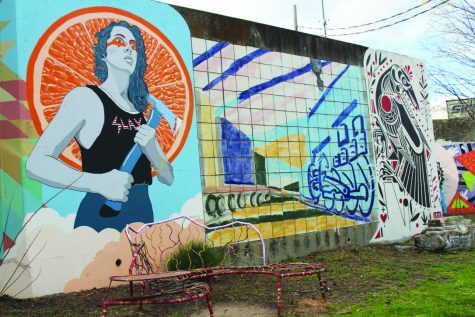 Some of his pieces touch on his past as a graffiti artist, but many of his works are tall paintings covered with epoxy, which is a hard, smooth paint usually used for industrial purposes. Byrd uses cartoon like characters and large brushstrokes, and sometimes spray paint to make his pieces. One of his epoxy pieces had brightly colored birdhouses set against a black and gray spray-paint background.